Genetic Drift is a tale of alien invasion, and it's far from a happy one. The alien Syrsyrians, in an attempt to save their species, have created a vast consuming monster, one that seems poised to destroy the human race. However, the threat's experiments may have created its own doom, in the form of a single human, a young woman named Maddie. One of the initial things you'll notice is that the story jumps through time a lot, giving you a view into the backstory of the invasion and the characters. It's surprisingly not jarring, and fleshes out the characters without forcing them to monologue about their pasts. The action sequences of Genetic Drift are often clunky, though they do smooth out towards the climax. While the novel doesn't tread any new ground in the 'alien invasion' plotline, there is some really imaginative imagery used when describing the alien environment you find in the last part of the book. The alien species is more interesting than they initially come across, and the fact that some desire to rebel from the hive mind is an intriguing set up. They do come across as genuinely threatening as you learn how Borg-like they are. "'I will not return for tasking'…. 'If you will not return, then you will be made a threat no longer.'" (229). These conversations are intimidating in a 'resistance is futile' sort of way. The dual consciousness you will begin to see, and how it varies from individual to individual, is really creative, and adds to the intimidating presence of the hive mind. Genetic Drift resembles Independence Day and most modern television alien invasion dramas. You will recognize many of the character archetypes, from tough soldier, to mentally disturbed individual, to the Chosen One. They're used fairly well, after you get over the initial clunkiness. 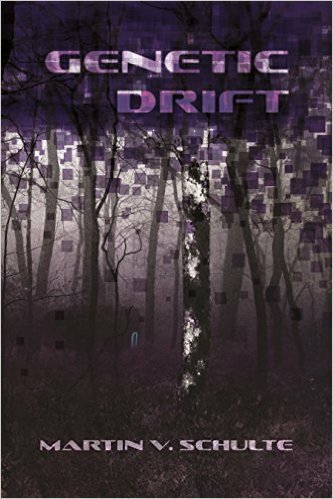 If you're looking to feed your post-apocalyptic alien invasion fix, Genetic Drift is for you. "I will not return for tasking'…. 'If you will not return, then you will be made a threat no longer." Martin Schulte was born in Cuba, raised in Florida, and has spent a majority of his adult life floating the ocean in a metal box. He is currently hoveled in Italy with his wife, children, and dog. He hasn't quite figured out how to stop time but travels to as many places as he can with the time he's been given. 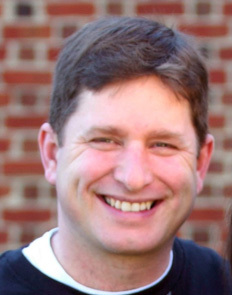 He connects with his readers through his website and social media.